2490 12th St. Sarasota , FL 34237 | Call Us For Your Consultation! 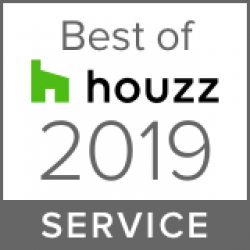 We are thrilled to receive Best Of Houzz Award for customer service in 2019! This is our third consecutive year of receiving the honor for professionals who have maintained exceptional service ratings and customer reviews during the year. We are a professional company that sells, installs, repairs and refinishes all types of hardwood floors. Whether you are doing new construction, renovation or have a wood floor that needs to be repaired we offer personalized, one on one, customer service to help guide you through the process. This badge provides reassurance to customers that we are top in our field in the wood flooring business. Thank you Houzz for this award! Together, Tom and Kathy have grown The Wood Floor Store - Home of The Floor Doctor into one of the most respected hardwood flooring businesses in the state of Florida.